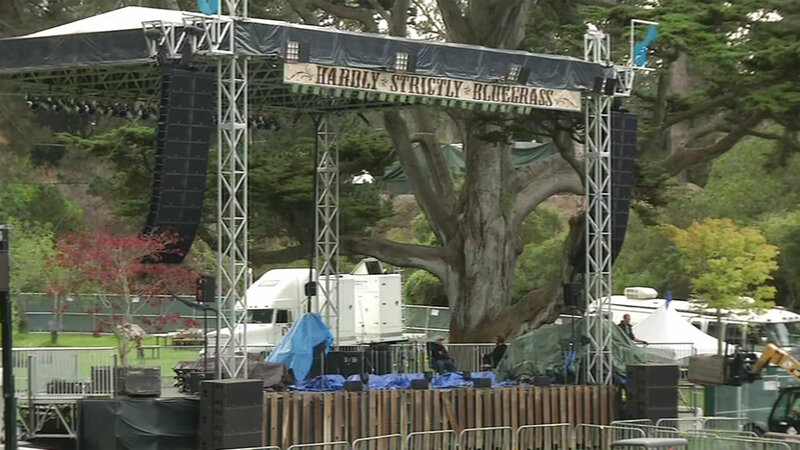 SAN FRANCISCO (KGO) -- San Francisco's Golden Gate Park is getting ready to host another major music event, the Hardly Strictly Bluegrass Festival. The three-day festival starts Friday. There will be seven stages with 100 performers. All of it free. Headliners include the Indigo Girls, Los Lobos and Emmylou Harris. More than 750,000 people are expected.